We all know what a tough time the Trump administration has had filling key positions in the federal agencies. Aside from competing time concerns, Democratic slow-walking of the small number of nominations sent up requiring Senate confirmation, and a wee bit of chaos at the top, there’s the problem that the White House wants to sign off on pretty much anybody who might have access to a supply closet. In any event, when key jobs are filled they tend to get attention. That’s sure to be the case with Education Secretary Betsy DeVos’s choice to be acting head of her department’s Office of Civil Rights, a largish operation responsible for reviewing and acting upon allegations of discrimination (17,000 cases in fiscal year 2016) by women and minorities. 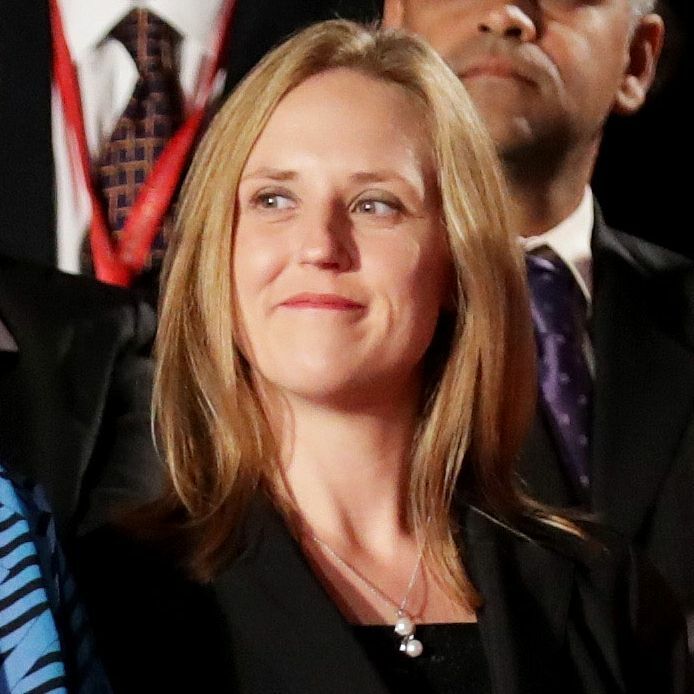 Her name is Candice Jackson, and as ProPublica’s Annie Walden reports, she is quite the ideological piece of work, with two decades of distinguished service to the cause of undermining the mission of the office she will now run. After college, Jackson, who in her own words “exchanged conservatism to libertarianism,” devoted some time to the legacy and ideas of the eccentric “anarcho-capitalist” Murray Rothbard, via his Ludwig von Mises Institute. To say that Rothbard and his disciples disliked the idea of public education is like saying Ayn Rand (whom Rothbard considered a bit of a squish) opposed progressive taxation — a rather laughable understatement. Upon graduating from everybody’s favorite right-leaning law school, Pepperdine, Jackson moved into less intellectual, hard-edged political lines of work, laboring at Judicial Watch, the “watchdog” group famous for suing Bill and Hillary Clinton at almost every available opportunity, before moving into a more specialized line of Clinton-hating, with the publication of her book with the self-explanatory title: Their Lives: The Women Targeted by the Clinton Machine. All in all, just the person you want running a civil-rights office. Now, it’s possible the brief glimpses of Jackson that her public career and Pro Publica’s research have given us are misleading. Maybe her interest in defending women from discrimination extends beyond those useful in demonizing the Clintons. Perhaps she doesn’t really hate public education like most libertarians, and it could be her partisan zealotry would end in government service. These are questions that could be fruitfully explored in a Senate confirmation hearing. But no: Jackson is technically being appointed deputy assistant secretary of Education, a position that does not require confirmation, even though she will be acting as assistant secretary for civil rights for Lord knows how long. So Trump partisans are not the only ones who might well hope for the speedy appointment of someone to this particular opening, given how it is being temporarily filled.